Cutting boards should be washed with hot, soapy water after each use, rinsed with clear water and air dried. You can also pat them dry with clean paper towels — but don't dry with a dishtowel.... To apply board cream, wait until the board is dry after washing or oiling, then apply a small amount of cream onto the board. Using a soft cloth, buff the cream/wax into the wood in a circular pattern, forming a thin coat. Repeat over the entire surface of the board and especially the sides. It's not necessary to let the wax soak into the board. Wash the board after use with warm or hot water and soap and rinse. Wipe off the water and let the board air dry. 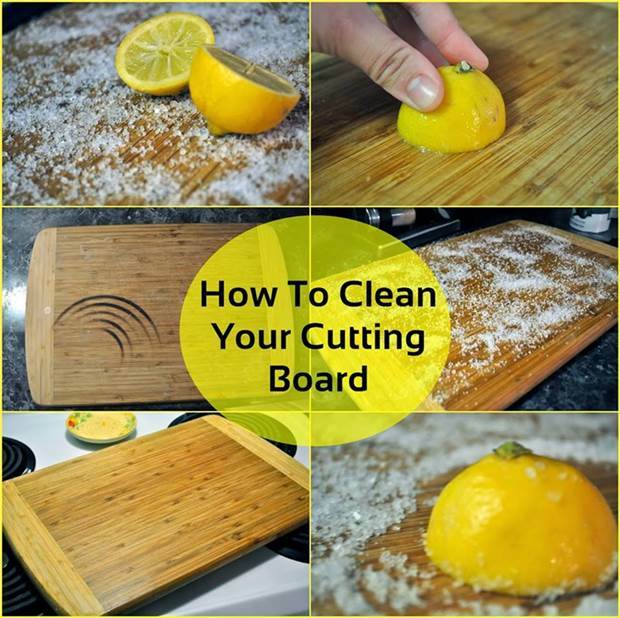 To kill bacteria, clean it with a very diluted solution of 1 tablespoon of Wipe off the water and let the board air dry.